An FBI agent once said of young Philadelphia mafioso Salvatore Testa, "He wants to be a bad guy in the worst way—and Lord knows he's got the breeding." He certainly did, being the son of the late, violence-prone Philadelphia Mafia bigwig, Philip "Chicken Man" Testa. Young Testa most assuredly looked forward to the day when he would be the Philadelphia godfather, an attitude that undoubtedly dismayed some other criminals, both within and without the crime family. As a result, Salvatore Testa became the clay pigeon of the Philadelphia underworld. The elder Testa, who had succeeded the murdered, longtime Mafia boss Angelo Bruno, was himself blown to bits by a remote-control bomb planted under the porch of his home in March 1981. A little over a year later, Sal Testa, now a capo under the new boss Nicodemo "Little Nicky" Scarfo, made his most amazing escape from death. He was eating clams outside a South Philadelphia pizza parlor when two would-be executioners blew him out of his chair with shotgun blasts. Testa took eight slugs in his body but recovered. The gunmen, who were caught when their car crashed into a utility pole as they were fleeing, turned out to be soldiers for a rival mob leader, Harry Riccobene, a gentle-looking but murderous septuagenarian mafioso. After young Testa made an unsuccessful try at Riccobene's life, he was almost cornered again when he and three bodyguards were driving through a warehouse district in South Philadelphia. Their car was cut off by another one loaded with four Riccobene gunmen. Several shots were exchanged but Testa was unscathed. Still in his 20s, the hood was labeled by mob associates "unkillable." Salvatore Testa was said to regard his foes as foul-ups. Then he turned careless. One day in September 1984, Testa, clad in tennis whites, left home for an afternoon of sport. At 10:23 P.M. on September 14, police in southern New Jersey received an anonymous call from a man who reported finding a body alongside a country road 20 miles southeast of Philadelphia. Testa had been shot twice in the back of the head at close range with a small-caliber gun. 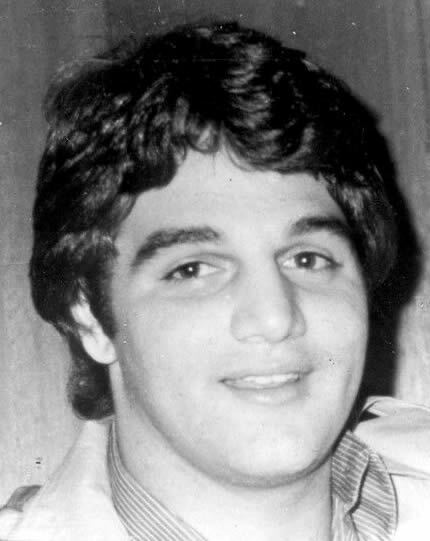 He was the 23rd victim in the Philadelphia underworld since Bruno's murder had shattered the longtime peace that prevailed in the mob. Sal Testa had turned out to be no more unkillable than any of the others. In fact, he had been eliminated by members of his own murder crew on orders of Little Nicky Scarfo, who had originally promoted young Testa to capo. The problem, from Scarfo's view, was that Testa had worked hard at the killing game and had distinguished himself as the real rising star of the Philly crime family. Scarfo began seeing every expression by Testa as a show of disrespect and ordered him hit before he made a direct move for the boss job.